Blockbuster Australia says it is independent from and unaffected by its US namesake's bankruptcy declaration, and even says the move will be a positive thing for the Texas-based company. 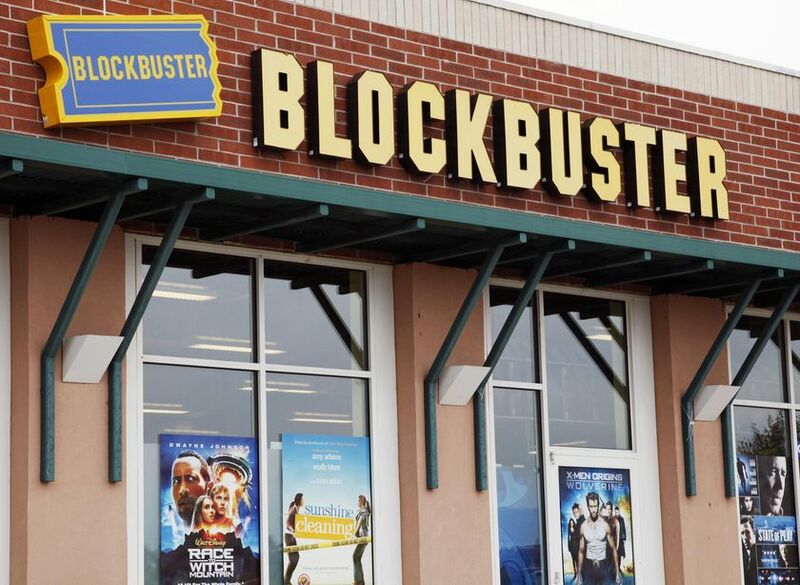 Blockbuster Inc is filing for Chapter 11 bankruptcy protection after it fell victim to competitors Netflix and Redbox, meaning hundreds of its stores are likely to close as it tries to reverse its fortunes. The company said it had reached an agreement with a group of creditors to reduce its debt from the current level of just over $1.05 billion to about $110 million. Paul Uniacke, co-owner of the Franchise Entertainment Group which operates the Blockbuster and Video Ezy chains in Australia and New Zealand, says the bankruptcy declaration presents a "huge opportunity" for the US company. "Under the leadership in the US of [chief executive] Jim Keyes ... they have got half a chance of really coming out of this Chapter 11 in a much stronger position than they went in," he said. "I think that's exciting for them." Mr Uniacke says Blockbuster has been struggling to compete under the burden of the billion-dollar debt for the last seven or eight years. "So where they've got Redbox, which is a kiosk company, they were allowed to get in front of Blockbuster by some period of time, and they've got 20,000 kiosks in the US," he said. "Blockbuster have some 4,000 or 5,000, but they're so far behind because they haven't had the funds. "Netflix is delivering DVDs through they mail - [they] have 12 million-odd members. Blockbuster have over 3 million members on that. "They were slow again to start and because of funds haven't been able to push on as hard as that, and that's had a significant effect on their business." Mr Uniacke says the bankruptcy protection will allow new Blockbuster CEO Jim Keyes the protection to pursue changes to the company's business model. "Blockbuster acquired a company in the US some two years ago called Movielink that was previously owned by the studios. "That's a download company, so they have download models. [Blockbuster] have been changing their model for some period of time. "This Chapter 11 will probably allow them to close 200 to 400 stores that they otherwise would have to continue to pay the rent [on] that probably needed to be closed two or three years ago."